Sometimes, on a Thursday, I settle down to watch a bit of ‘council telly’, as we call it in this house — the City of York Council webcast. There are many of these, but Thursday is usually the day for the planning committee, or, like this week, the executive meeting. It sounds quite dull, doesn’t it, but don’t leave yet. I just wanted to point out a few things of interest relating to buildings already discussed here on these pages in the past. A while back, 27 May 2016, I wrote a piece about a planning application to demolish the interesting buildings on Ordnance Lane (pictured above). The planning application languished, undecided, for months. The matter was discussed at this week’s executive meeting (number 17 on this link), as there’s now a change of plan, involving using a different building, on James Street, for emergency accommodation for people who need assistance after becoming homeless. It sounds far more suitable. There’s more information in the report prepared for the meeting (PDF). What will happen to the Ordnance Lane buildings remains to be seen, but for now they’re apparently safe from being flattened. 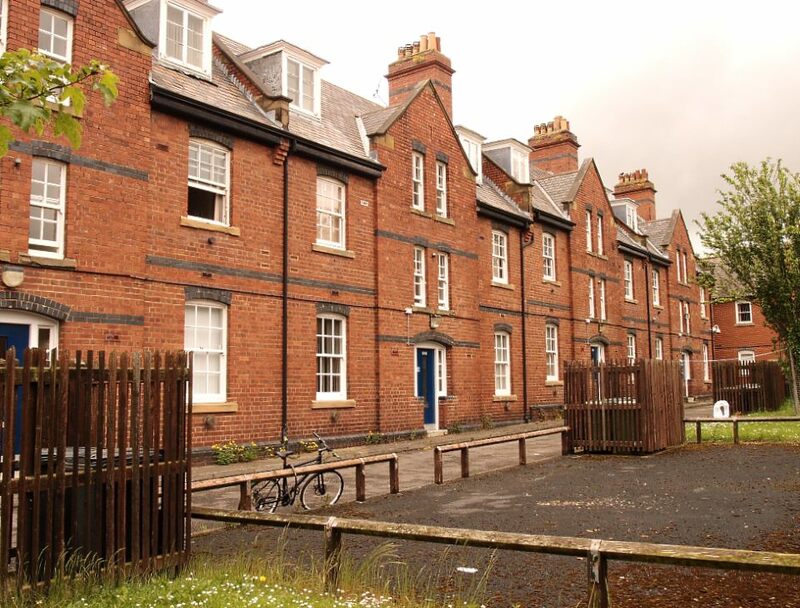 They would make desirable residential accommodation if refurbished. As they’re apparently still council owned I hope the council will aim for that outcome. Enough unlisted heritage has been destroyed recently. The council has a duty, I think, to do its best to preserve those heritage assets it still owns, particularly the vulnerable ‘recent’ heritage (19th century onwards), as we can’t do anything much to protect the privately-owned heritage assets/buildings of significance in a system so weighted in favour of developers. There are some similarities between the Ordnance Lane buildings and this building, in that they’re both some way out of the city centre on main roads from town, and neither has the protection of any listed status. But as the Carlton Tavern (formerly West Garth, and the Godfrey Walker Home) is owned by a pub company who are selling it to a care home company it’s hard to see it surviving. The proposed demolition seems like a wasteful and crass destruction of a handsome building that is part of the history of its area, just like the Ordnance Lane buildings are part of the history of their area. Surely, in the 21st century, we’ve got the wit and understanding and technical expertise to incorporate buildings like this into plans for redevelopment of a site, rather than just smash them to bits? The Carlton Tavern site is large, and it appears that there’s plenty of room for the developers to maximise their profit on the land around it. If you’d like to comment on the planning application you can do so on this link. On the link to the recording of the meeting on the council’s YouTube channel the executive meeting agenda is posted under the video, and it’s also available to read on the relevant page on the council’s website. Reading through the list gives a snapshot of York and its concerns and changes at this time, March 2017. I have to focus on particular aspects here on these pages, as I can’t cover it all. But the meeting covered a lot of ground. There’s also the long-running saga of the community stadium, which has grown into some huge unwieldy thing since I wrote about it years ago. And there’s the plan to turn the Guildhall complex into ‘a vibrant hub’. 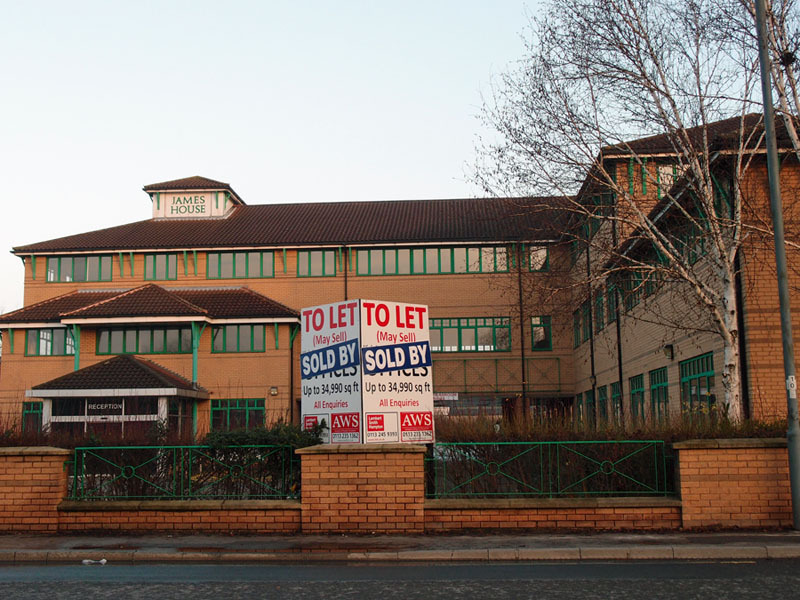 And the selling off of the site of Oakhaven older people’s accommodation for much less than its market value to Ashley House plc in exchange for an 80 year agreement. I guess the new accommodation might end up looking something like this one in Grimsby. So much being sold off, moved out of local authority control, privatised. Never mind, if it all gets a bit too much I find it helps to head off for a brisk walk away from the hard-to-keep-up-with vigorous visions and vibrant hubs of the city centre towards the greenery and fine old trees at Clifton Park. Where, recently, a healthy and supposedly TPO-protected tree was felled, so the Dormouse pub could put up a big advertising sign, alongside a row of more signs (info on this link). 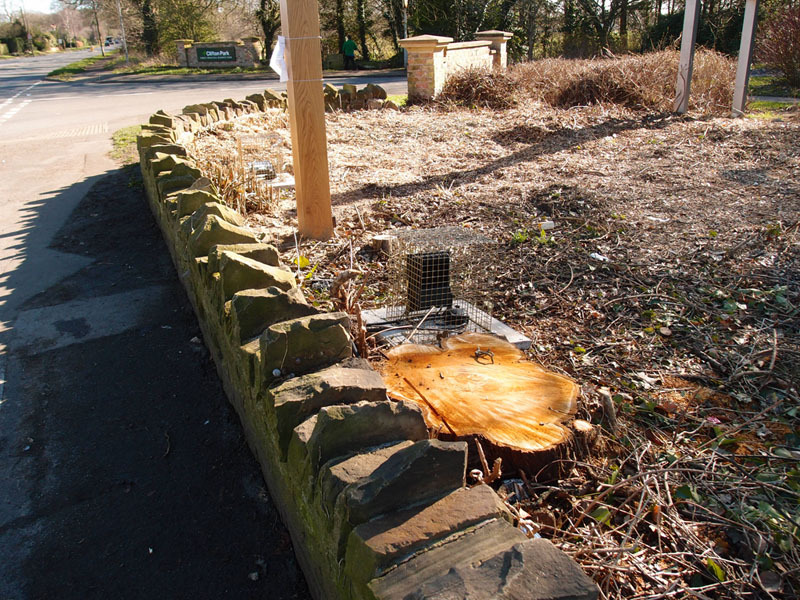 In order to erect the sign, which is already in place, a protected tree has been removed without consent. The TPO reference number is 173/1991 and was served in 1991 as an ‘area’ order which relates to all the trees within a demarcated area, such that all the trees in existence at the time of serving the order are protected. Not clear whether this is a case of ignorance — not knowing about the TPO protection — or arrogance, thinking that ignoring such things is okay. The roadside signs didn’t get planning permission so I imagine they will have to come down. Hard to put back the tree though isn’t it.